Today sees Amazon slapping a 20% discount on their entire Kindle line. 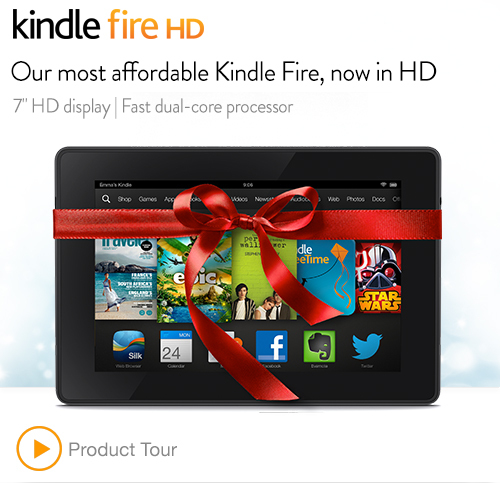 This means the standard e-reader Kindle, the Kindle Fire HD, and the Kindle Fire HDX. Today only, save 20% on select Kindle e-readers and Kindle Fire tablets. 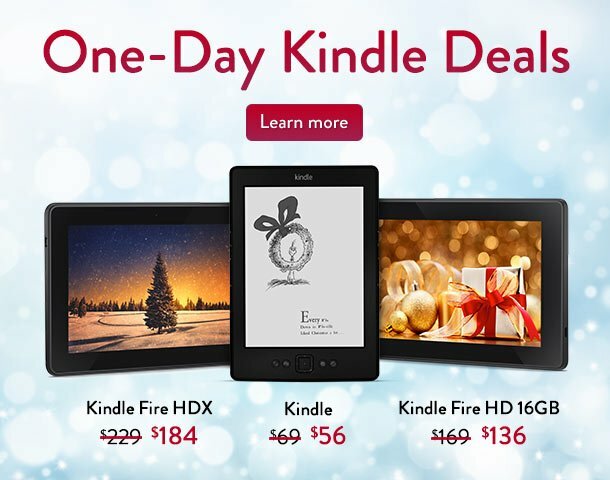 Choose Kindle, from $56; Kindle Fire HD 16GB, from $136; or Kindle Fire HDX 16GB Wi-Fi, with a perfect-color HDX display, ultra-fast processor, and the revolutionary “Mayday” button from $184. Do not delay! Last week’s sales ended quickly for the Kindle Fire HD as Amazon ran out of stock in but a few short hours.